Perfect crumb and slices for your morning. Here’s a little secret for you that’s BANANAS, pun intended! I can buy a bunch of bananas and within two days, two things can happen: they are all eaten immediately while still in their beautiful yellow state, or the latter, they have all turned into brown spotty messes! So you better believe when they turn, banana bread is in the works. 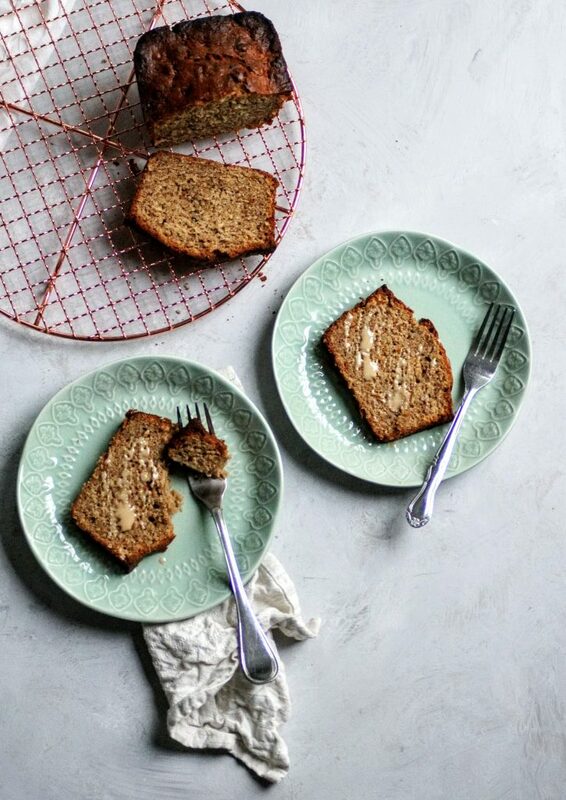 Banana bread, the quintessential breakfast food, at least at our house. Soft, tender crumb and perfect slices. I set out on my journey to create all those details but add a bit of Lebanese flair…of course! 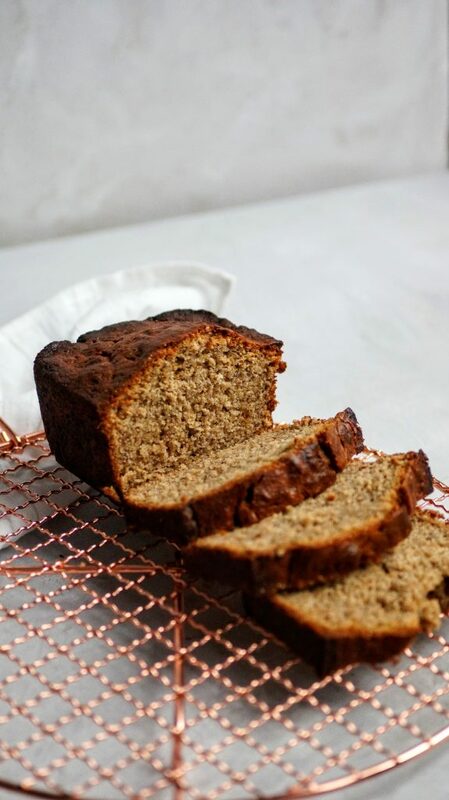 There are so many banana bread recipes made with peanut butter (which we consume in vats around here) but for some reason I don’t like peanut butter in my banana bread. But as I continue my quest, I realized that tahini shares the same qualities as peanut butter: creamy, nutty, rich, fatty. While tahini has a very nutty flavor and fragrance it is totally nut free. Like other nut and seed pastes, tahini is filled with a variety of vitamins, minerals, protein, plant sterols, and healthy fats. Most of my tahini goes into my hummus and baba ganoush, but I thought it would be great to give it a try in banana bread. The results = AMAZING! 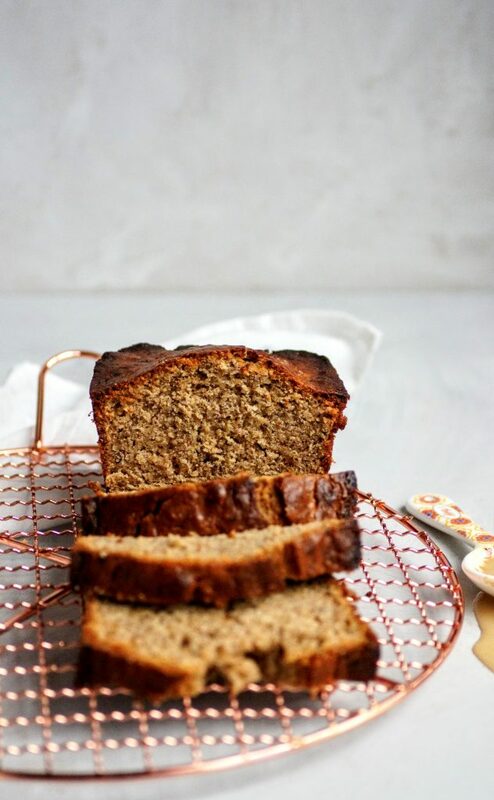 So the next time you have some bananas laying around, give this bread a try! Serve for breakfast and top with an additional drizzle of tahini. 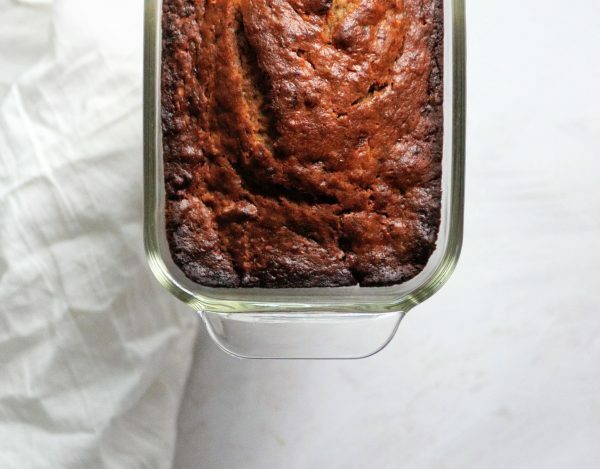 The best part of banana bread is that it's one bowl and DONE! In a large bowl, combine your wet ingredients: mashed bananas, coconut oil, eggs, tahini, brown sugar, granulated sugar and vanilla. Use spatula and mix until combined. Add in your dry ingredients and fold until no dry ingredients show. Pour batter into prepared loaf pan and bake for 50-60 minutes until tester comes out clean. **For muffins, spray muffin tin, pour batter almost to the top. Bake at 425 degrees for 5 minutes then lower to 350 and bake for another 15 minutes. Makes 10 muffins. Oh yay!!!! So happy to hear this Melissa! And thank you for leaving the comment, I know that will help many folks. I’ll have to give it a try and add some adjustments to recipe. So glad you enjoyed!